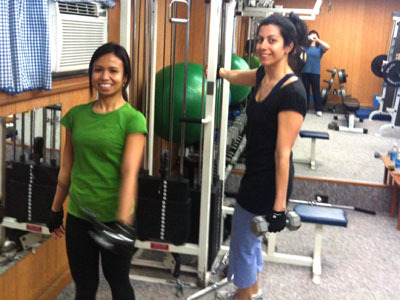 We have a few options for those who prefer to workout in a class setting. 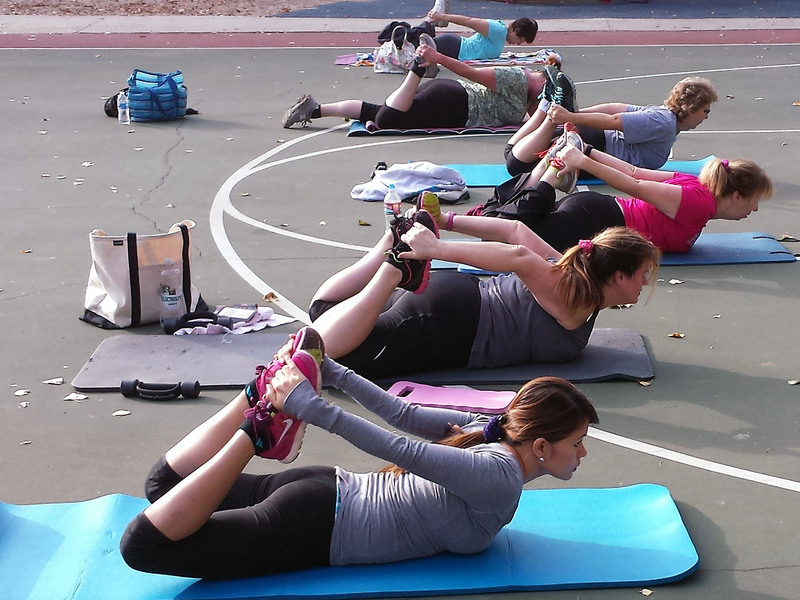 A outdoor class each Saturday at 7:30 am, and studio classes at 6:30 am on Tuesdays and Thursdays. Details provided below! 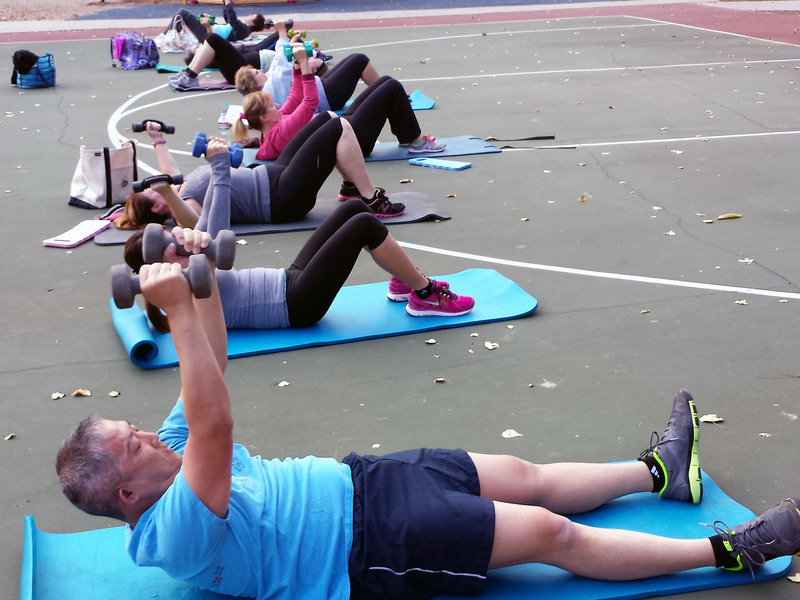 Come join us for one hour each Saturday morning at 7:30 am for a fun fitness class in the park! 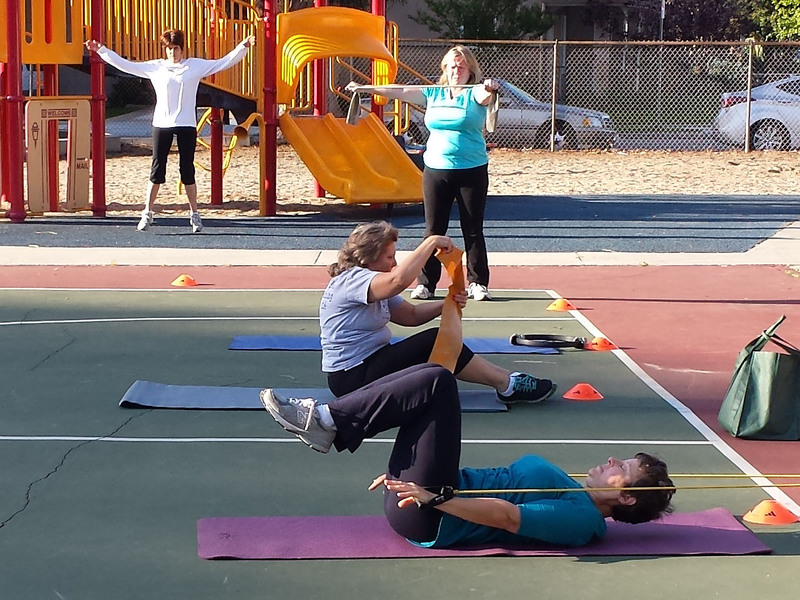 Our group classes are fun and focused on interval/circuit training for a variety of fitness levels. This is NOT a macho bootcamp. 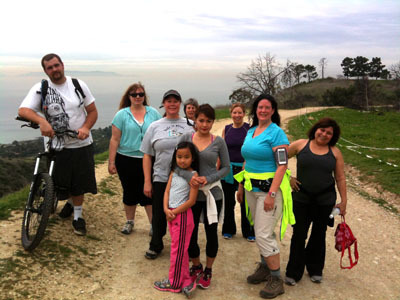 It’s a chance to get your exercise in early , meet new friends and diversify (or start) your fitness routine. 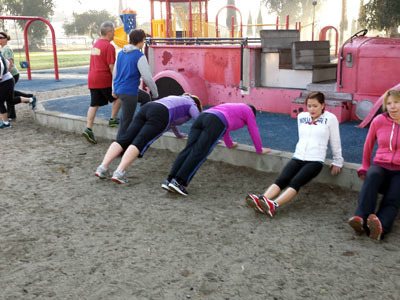 All fitness levels welcomed, so bring a friend and try it out. A great way to keep fit after you “graduate” from our private sessions. 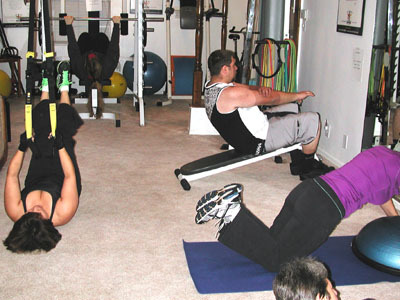 Classes are circuit-format to maximize your metabolic conditioning and utilize all of our studio equipment. 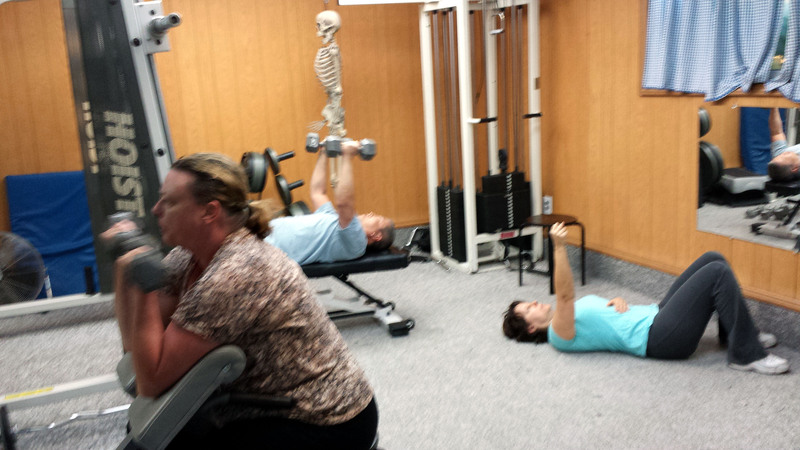 Class size is limited so that we can ensure your proper form and motivation!